The talented musical team of Howard Ashman & Alan Menken came through again with Tim Rice stepping in after the passing of Ashman. John Musker & Ron Clements (Moana, The Little Mermaid) helmed Disney’s 31st animated feature, which was fast and furious and used designs inspired by Al Hirschfeld. Computers were used for both coloring and creating some animated elements. Aladdin earned two Oscars for original score and song (“A Whole New World”) and Chuck Jones called it the funniest animated feature ever. A lot of the credit goes to Williams as the energetic and fun-loving Genie, animated by Eric Goldberg. 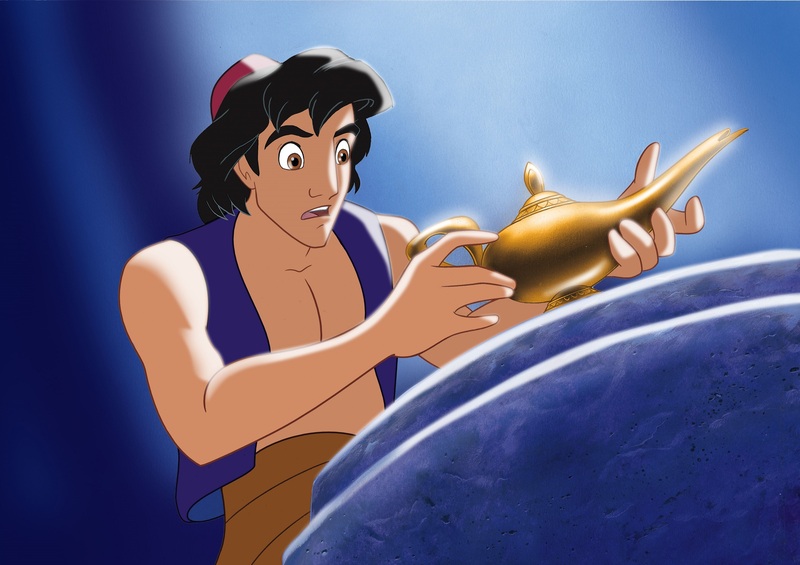 Aladdin: Creating Broadway Magic – Join host Darren Criss as we take “a new fantastic point of view” at the story of how Aladdin went from a classic Disney animated film to become Broadway’s smash hit with Menken and others.